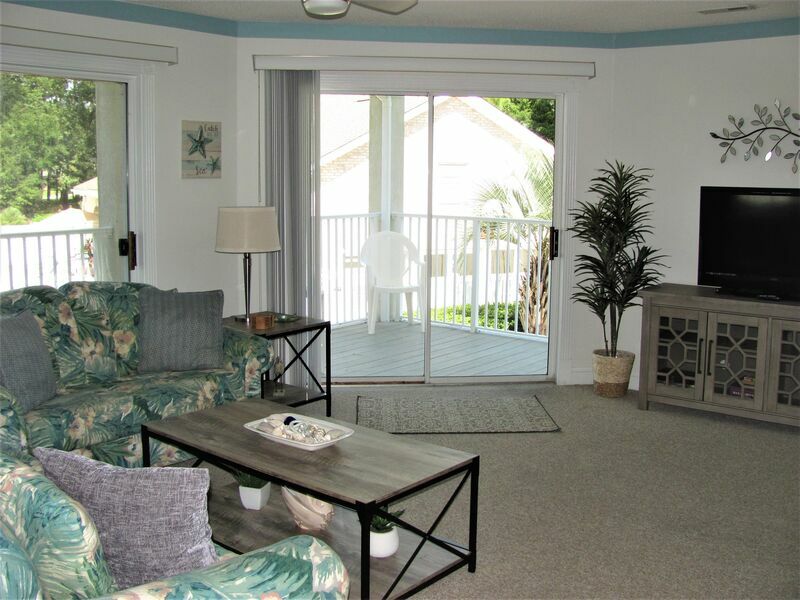 Two bedroom villa adjacent to Oyster Bay Golf Links in Sunset Beach - Wireless Internet - NO Phone - Two bedrooms/two full baths 1 Queen bed/1 Double bed in master bedroom and 2 Double beds in 2nd bedroom, sleeper sofa (living room), cable television (3 TVs), DVD, central heat & air, washer/dryer & whirlpool tub. Villa features an open floor plan with adjoining kitchen, dining and living areas. Kitchen is fully-equipped with dishwasher, microwave, coffee maker, blender, toaster, full-size refrigerator and range. Private deck accessible from living room area. Community indoor & outdoor pool, whirlpool spa, exercise room, courtyard with charcoal grills and picnic areas. Complimentary linens, towels and departure cleaning service.